​Atletico Madrid midfielder Thomas Partey has been linked with a summer move to Manchester United as the club look to bolster their options in the centre of the park. The 25-year-old has been a key part to Diego Simeone's side this season, making 25 La Liga appearances for Los Rojiblancos, scoring three goals and providing three assists, while providing a physical and energetic presence to the midfield. Thomas Partey | An article in today's Marca says the player is available for €50m. 'Several Premier League' clubs have contacted his entourage. Simeone has spoken candidly about keeping the Ghana international at the club by ​deeming him 'non-transferable' ahead of this summer. However, previous reports in Spain have speculated that he could be available for €50m, with several Premier League clubs keen. Now an article from ​CitiNewsRoom in Partey's home country of Ghana claims that United will test Atleti's resolve with a bid. 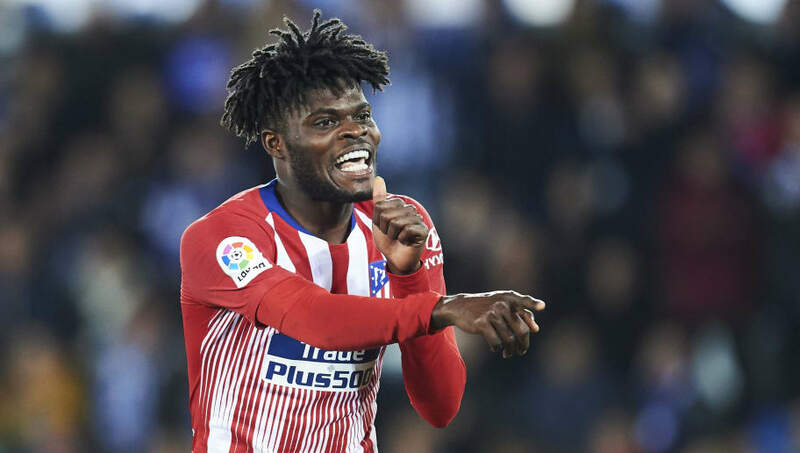 The report claims that the Ghanaian is 'very keen on a move to Old Trafford' as he looks to 'fulfil his dream of playing in the Premier League' yet ​Atletico Madrid will be determined to keep hold of Partey. Should the Red Devils proceed with a move for the midfielder, the report also states that the Premier League side would be keen to complete it before the Africa Cup of Nations commences in late June, with Parety likely to be part of the Ghana squad looking to win the tournament for a fifth time. United's proposed move for Partey could hinge on the possible departure of Ander Herrera in the summer, as ​the 29-year-old has recently been linked with a move to Paris Saint-Germain at the end of the season with ​his current contract at Old Trafford set to expire. Partey has made 132 appearances for Atletico Madrid in all competitions since his debut in 2015, scoring 12 goals and providing ten assists during that time, as well as making a brief appearance in the 2016 Champions League final that was won by city rivals Real Madrid on penalties.